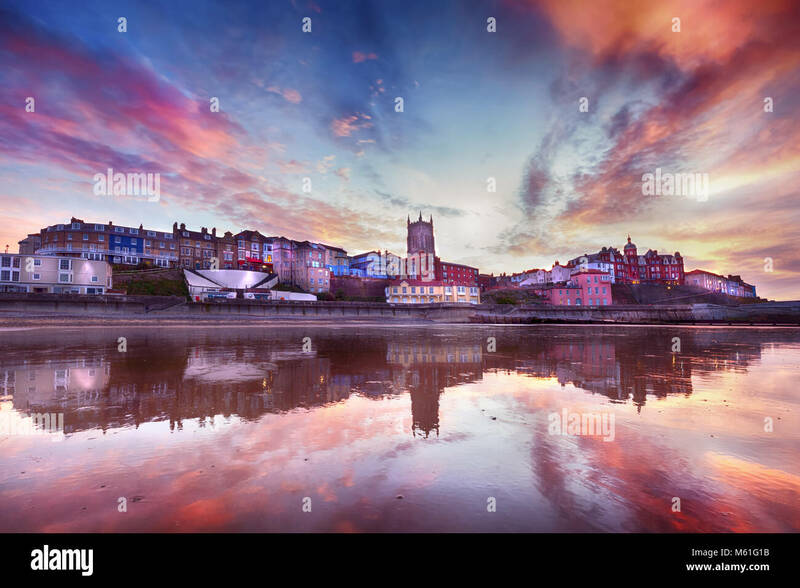 Skies ablaze in Cromer town - Fabulous looking sky and reflection surround the picturesque seaside town of Cromer. As dusk appears, the soft lights of streets and buildings come on. Cromer has one of the best, and flourishing, piers in England and the only surviving end of pier show in Europe. Also houses the RNLI lifeboat rescue launch at the far end. Cromer is set on the North Norfolk coast and dates back to the 12th Century, typically relied heavily on fishing, now famous for its crabs. The beaches and erroding cliffs are a treasure trove of ancient fossils including the biggest and best preserved mammoth skeleton ever found.